The back of this photo reads (in Sara's handwriting): "Cecil Inman, Jackson, my childhood sweetheart." “Other [boys I liked] were Malcolm Lowe, John Mason and my favorite, Cecil Inman. I was in the fifth grade in Mrs. Newman’s class when Cecil transferred from Barr School to Whitfield, and I think we both liked each other from the time he joined our class, although I did have some competition from Marjorie Wilson. He lived in the country but really just down the road from us. He was cute, spoiled, and full of devilment. He had a pony and rode it down to our house. One day Tiny decided she wanted to ride it and she really didn’t know how and kept kicking it and shouting ‘Whoa’ while it took off as fast as it could to Cecil’s house and did not stop until it landed in the shed. Cecil sent me Valentine candy and invited me to parties at his house. “One time there was a citywide school production of Hansel and Gretel at the downtown municipal auditorium. They had come around and listened to us sing and chosen those with the better voices to participate. That was when I realized I could not carry a tune. That feeling was reinforced the next year when we were going to one of the churches to sing and the music teacher told me that I was an alto, and Daddy asked, ‘Honey, how could they tell?’ Those of us who were not chosen for our singing ability were taken by streetcar to the auditorium to view the performance. Cecil sat by me and put his arm around me. I was secretly thrilled but then was scared to death that the teacher might have seen him and would tell Mama, and I would be in trouble. I didn’t sleep very well that night for worrying. Old Municipal Auditorium, downtown Jackson, where Sara never sang. “Cecil was always stirring up something, and more than once he got me punished for talking in school, one time for telling him to hush when he called me ‘Little Miss Know It All.’ His cousin was the first grade teacher, and she was keeping the office when we were both sent down there during the lunch hour as punishment for talking in school. Cecil broke up my friendship with Marjorie Wilson after she wrote him a note using an ugly word, one which I had no idea of its meaning. I did not know whether to tell Mama and Daddy or not since Marjorie was my best friend. I was not too good at keeping secrets so finally told Mama. When she got Daddy into the act and they both seem horrified that a nice little girl would do something like that, I was told not to play with Marjorie any more. Of course, she probably didn’t know what it meant either. Anyway, Cecil told me that we were going to have a trial for her during recess and that I would be the witness. Dumb little me, I stood up on the playground and read the note. None of the other girls knew what it was all about either, but the boys all snickered and told me I should not have read it. When Cecil later became a lawyer I realized that he had started early in training for the profession. Sara's 3rd grade report card, Whitfield School, 1929-30. I have, I believe, every report card that Sara ever received, both in Greenwood and Jackson, except for 5th grade. And therein there must be a story, and I strongly suspect that the infamous Cecil Inman plays a part. This memorable scamp was just the first of a long line of Sara’s fellows, who will populate the pages of this blog in days to come. If her recollections and the stories she told us growing up are to be believed, she was a classic “Judy Garland-style” girlfriend, just tons of fun in a best-buddy sort of way, a good listener who knew how to have a great time but who also knew where to draw the line. Obviously, she kept up with Cecil throughout his life and I’m sure there were phone calls where she listened patiently to his tales of self-inflicted woe and tried to set him straight. But some friends simply can’t be set straight, and it sounds as if Cecil barreled through life with abandon. 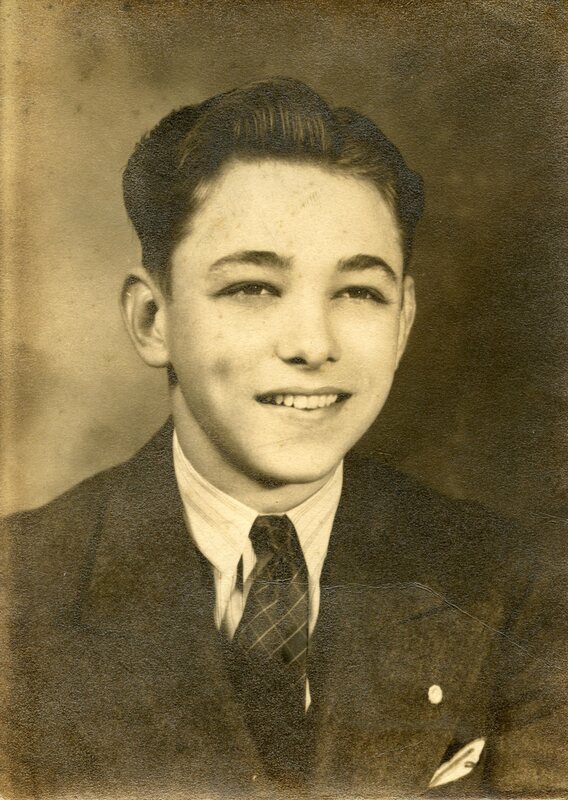 Census records show him to have been the only child of Cecil and Annie Inman and a Lieutenant JG in the Navy, enlisting in December, 1943, likely just after graduation from Ole Miss Law School. His death in November, 1982, is listed at a Biloxi address, which I suspect was the VA down there, and he is buried in Biloxi National Cemetery. Another trip that I’ll have to make one of these days, perhaps on the same trek where I’ll visit the old Whitfield School site and remember that recess where an aspiring young lawyer duped his star witness, Sara Evans, into an embarrassing moment. I’ll never solve the mystery of the missing report card, but something tells me the deportment marks were such that either Jessie or Sara let that card disappear. Ed. 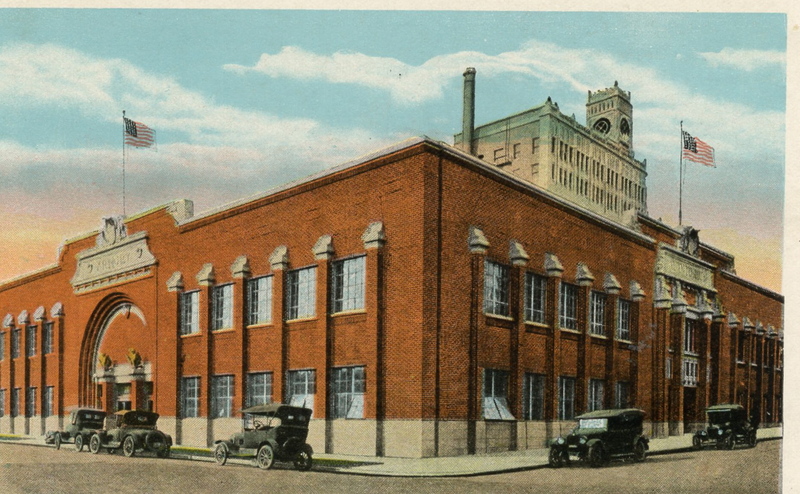 note: The old Jackson Municipal Auditorium stood on the northwest corner of Pearl and Congress streets from 1923 to 1968. It had open rafters notoriously dreadful acoustics, lumpy seats and served as an armory as well. Perhaps Sara’s off-key alto wouldn’t have sounded so bad there if they’d just given her a chance.